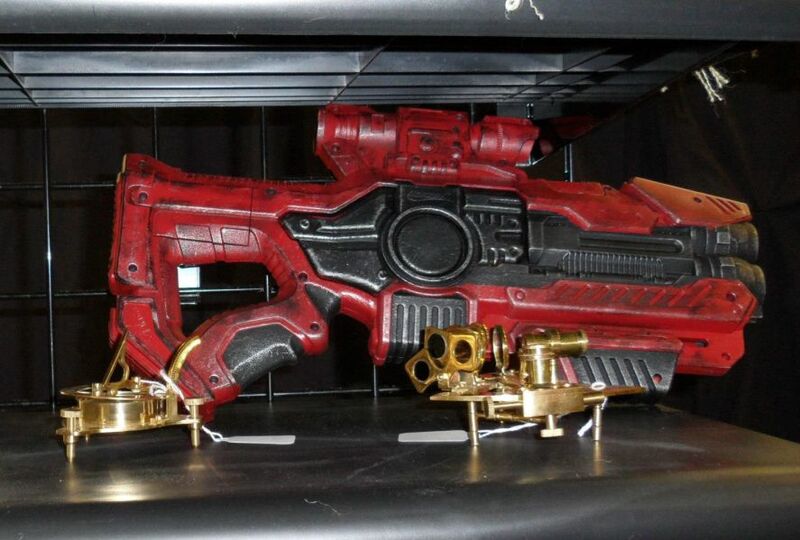 We are going to be at the Emerald City Steampunk Expo this upcoming weekend! It’s going to be in Wichita KS, Nov. 2nd to 4th. Yes, we will be vending and paneling! Come see Cpt. 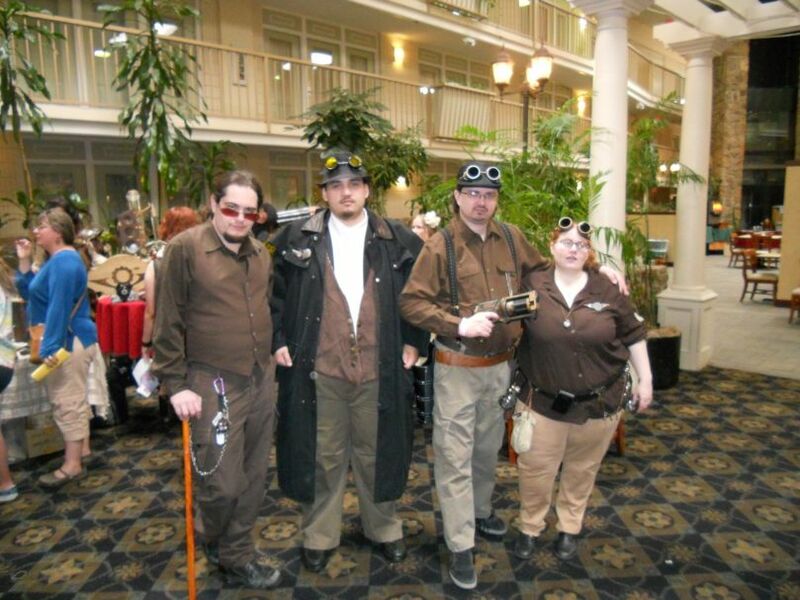 Coppertop, 1st Officer Reinier, Hired Gun Bennett Locke, Master Leatherworker Deadlance, and Journalist “Mad” Moira Methula. We love meeting and talking to new people. So, if you know us or haven’t met us yet, please stop by and get to know us! 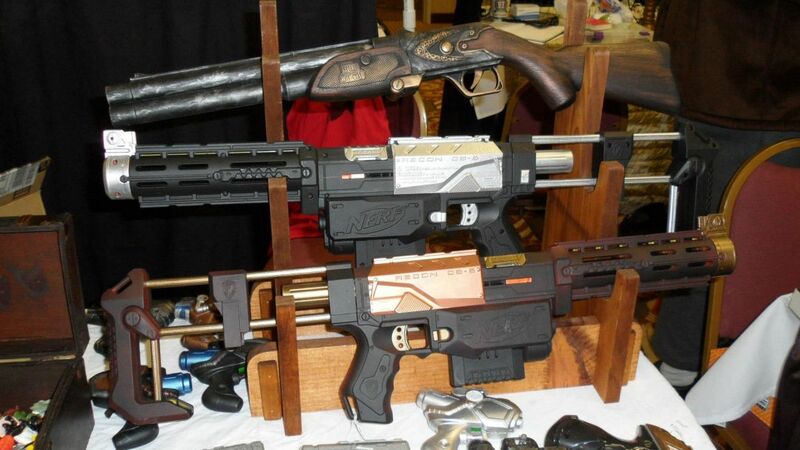 We’ll be selling leather crafted items, nerf mods, goggles, handmade toys, and more! Captain Amelia “Coppertop” Reinier is going to talk to you about developing a character (or persona). She’s going to give you things to consider, such as setting, subgenres, and roles. There are lots of games out there, but what if you aren’t in a game? How do you make a persona without a rule book? What if you aren’t part of an Airship or don’t want to be a Skyrat (sky pirate)? What is the Multiverse? Cpt. 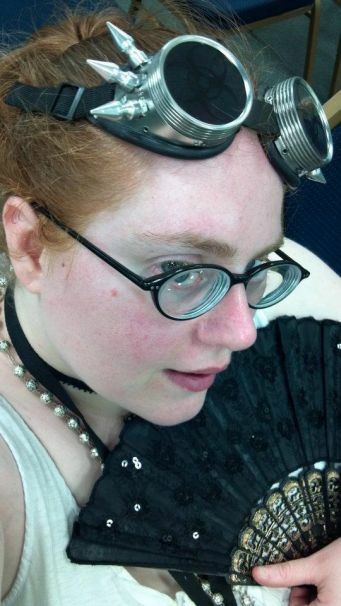 Coppertop is going talk about the many choices you have and the best way to start when you’re looking to create a Steampunk Character. 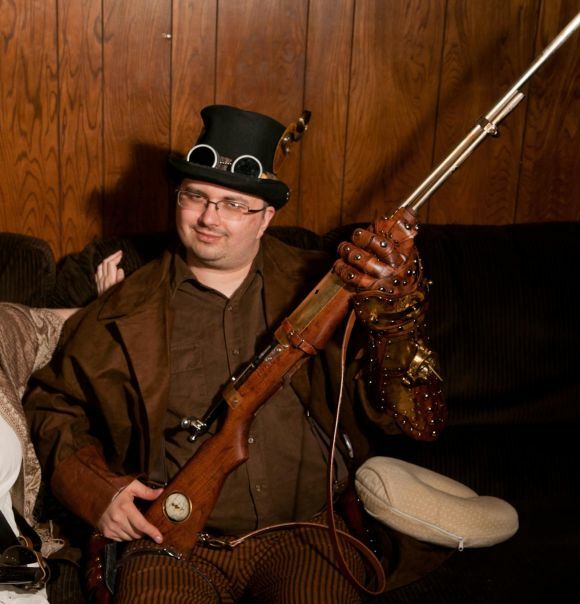 These photos include both our SCARS and Dark Steampunk personas. 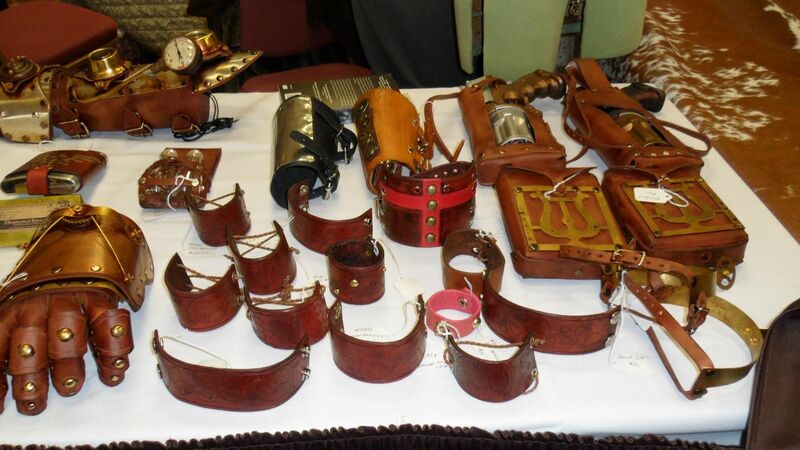 If you are new to Steampunk and don’t know where to start, this is a great panel for you! 1st Officer Thomas Reinier is going to talk about what Steampunk is, the aesthetics, and some of the subgenres. He’s going to tell you about costuming on a budget, from making your own stuff to where to buy it. Thomas is also going to tell you about the local communities and how to find them. 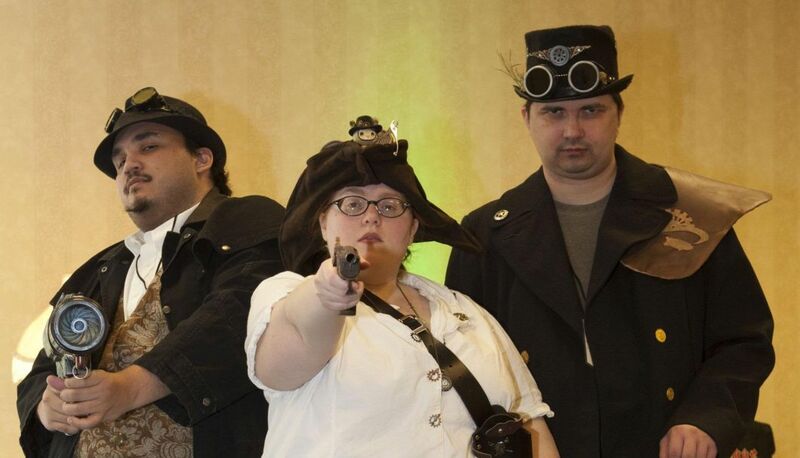 The best way to start in Steampunk, is to show up! 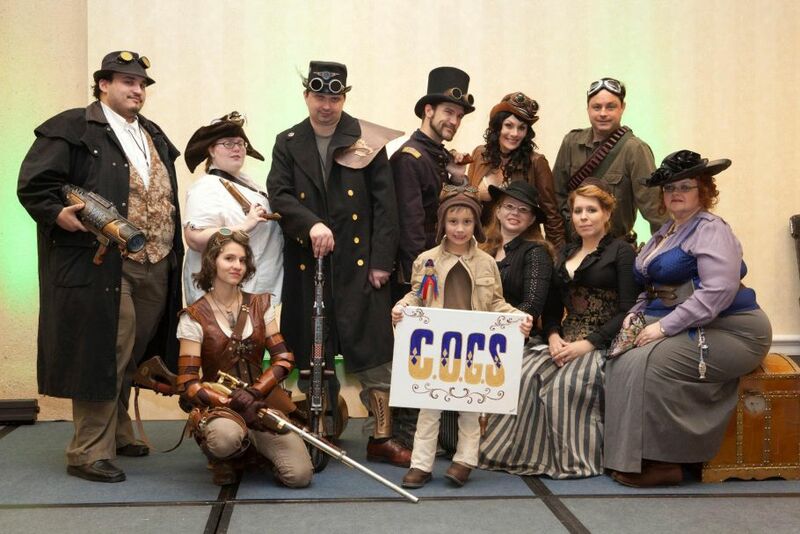 Our first crew photo at Oklahoma Steampunk Expo 2011 and first COGS community photo at Emerald City 2011! 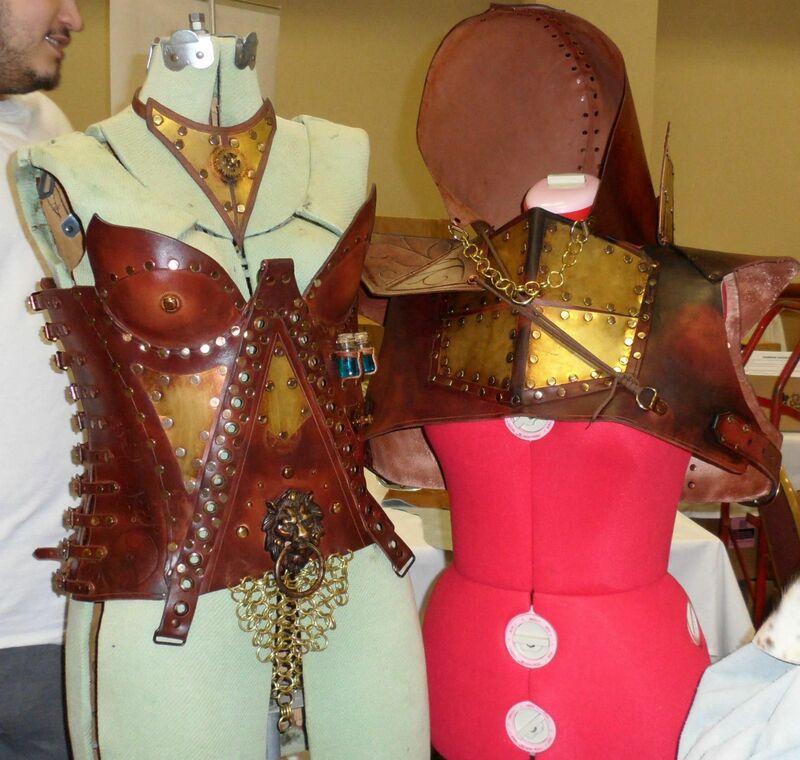 If you haven’t seen the work our Airship’s Master Leatherworker contributes to our costume designs, then come see us at the panel! Deadlance is going to share some of his talent with you at this DIY panel. 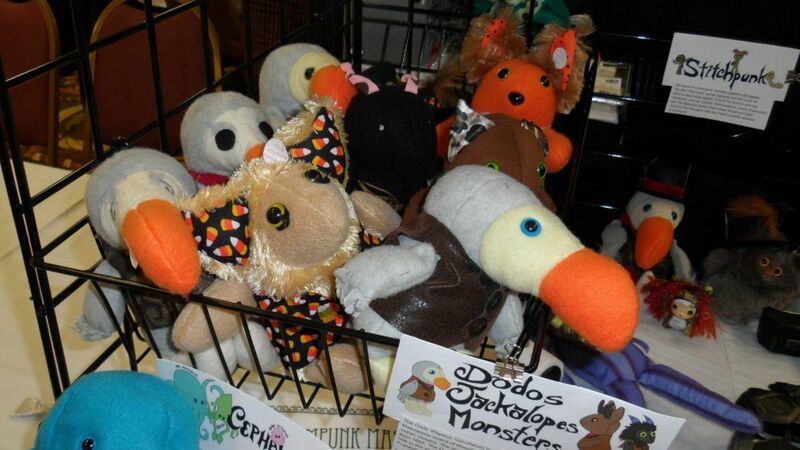 He’s going to talk about building your own props and costumes, such as what to look for and what NOT to buy. He’ll give you pointers on where to shop. If you want to get into building your own stuff, come see what tricks and tips he has to share! 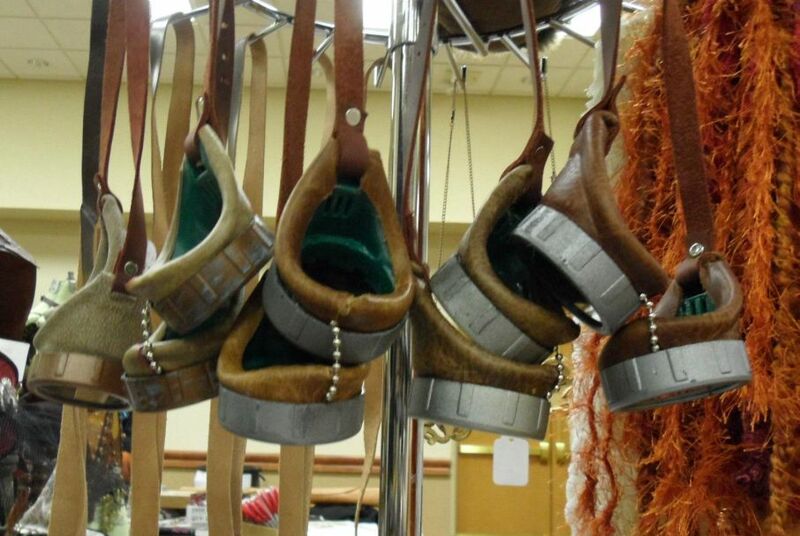 Some of Deadlance’s talented leatherwork that you will get to see this weekend! 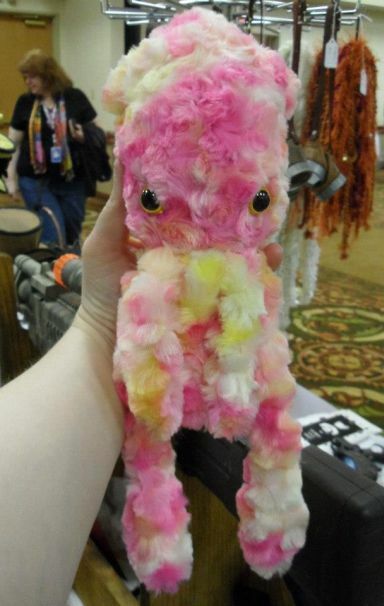 This entry was posted in Conventions, Merchandise.